Herne Hill is surrounded by a wonderfully diverse set of community organisations. The Friends of Carnegie Library welcome and work with those groups to highlight and promote each other's aims and events. Children's Writers and Illustrators in South London An active group of contemporary children’s writers and illustrators formed in the early summer of 2006 to support and promote good children’s books and their authors and illustrators. Denmark Hill Society Campaigns for a better community focus and improved facilities for the Denmark Hill area. Started in June 2012. Believed to be affiliated to a political party, they hold regular informal meetings in local pubs, membership is free. 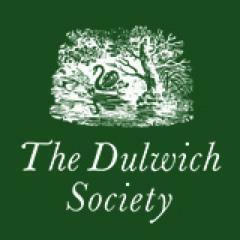 Dulwich Society Aims to create a village community, to increase awareness of local history and the Dulwich character, to foster open spaces and trees, to introduce the people who live and work here to each other, and help them enjoy the local atmosphere. Friends of Brockwell Park Every year the Friends of Brockwell Park help plan and organise events in the Park. There are live music events, theatrical shows, art events, exhibitions, the annual Fun & Games Day and fund-raising events like our monthly Car Boot Sales. Friends of Burgess Park Burgess Park, Friends of Meetings are held on the first Wednesday of every odd month from 7-9pm. Membership is free. Contact Sue Amos for more details. Friends of Dog Kennel Wood a group of people whose main aims are to protect and improve Dog Kennel Hill park and Dog Kennel Hill wood – officially known as Dog Kennel Hill Open Space – with particular emphasis on wildlife conservation. Groundwork London Charity which since its formation in 1995 has completed more than 150 environmental projects in Southwark and brought in more than £10 million in funding. Keeping Greendale Green Notes on the future of Greendale Fields in Southwark. The purpose of this blog is to record information about the status and future of Greendale Fields in Southwark, South London. 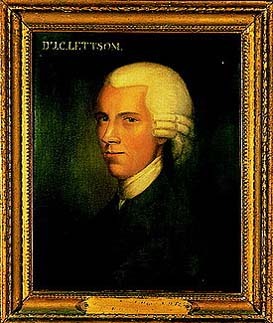 Lambeth Local History Forum Brings together a wide range of societies in the London Borough of Lambeth who share an interest in researching and publishing local history, whatever else they may also do. Lettsom Gardens Association A private garden in Camberwell, London SE5. It is bordered by Grove Park to the north and Grove Hill Road to the south. It is a popular amenity for the communities in both those streets and also more widely amongst Camberwell residents. 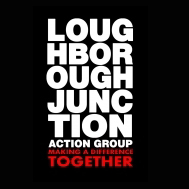 Loughborough Junction Action Group An independent group of people who live or work in Loughborough Junction in south-east London sharing the common aim of regenerating and improving the area and the lives of the people who live there. Minet Conservation Association Created in 1979, the Minet Conservation Area follows closely the original boundaries of the Minet Estate that was planned and built by William Minet between 1870 and 1900. Poplar Walk Blog Aimed at facilitating sharing about issues affecting Poplar Walk and surroundings in Lambeth, London. Ruskin Park Community Garden A community hub that is a source of education and enthusiasm for growing vegetables. Aims to encourage inner city gardening with a view to reducing the carbon output involved in food production and transport. The Camberwell Society Formed in 1970, aims to stimulate public interest, promote high standards of planning and architecture, and secure the preservation, protection, development and improvement of features of historic or public interest in Camberwell.